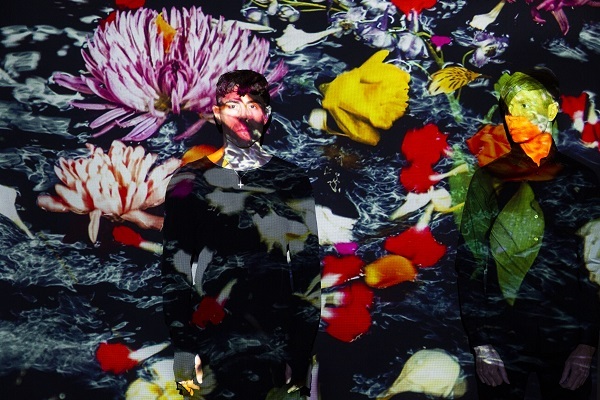 Davey Havok and Jade Puget of AFI have a longtime electronic side project called Blaqk Audio, and the guys are back with a new album. The collection, called “Only Things We Love,” will arrive on March 15, and the album’s debut single, “The Viles,” is available now at digital outlets. In support of “Only Things We Love,” Havok and Puget have announced a special Blaqk Audio tour this spring throughout the U.S. The trek will set off March 14 in San Diego and run through an April 3 date in Washington, D.C.. For ticket information, head to BlaqkAudio.com. “Only Things We Love” marks Blaqk Audio’s fourth studio album and their follow-up to 2016’s “Material.” View the full track list below. As for AFI, the band unleashed their latest set, “The Missing Man” EP, in December.